Students, you are to take on the role of a detective/investigator, and use several of the following pieces of evidence to solve the mystery written below. Between 1890 and 1970, African-Americans made went from making up about 2% of Chicago’s population to about 1/3 of the city’s demographics. What were at least three key events that led to this rapid change, and how did the swift change in the city’s demographics impact race relations in the city of Chicago? 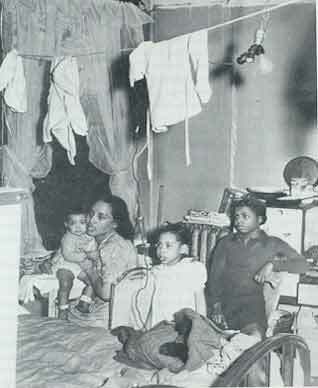 Finally, after examining poetry, information, and images from the Chicago Renaissance and the Great Migration period(s), what were the lives of African-Americans living in Chicago like? How were their living conditions, and how did those conditions compare to the way the migrants lived in the South? Choose to read one of Gwendolyn Brooks' poems, “kitchenette” or “De Witt Williams, 1945.” Then answer one of the following questions that applies to the poem you chose. Your answer will help you solve the mystery. After you read ALL of Langston Hughes' poems, “One-Way Ticket,” “Restrictive Covenants,” and “Visitors to the Black Belt.” Then answer both of the following questions. Your answers will help you solve the mystery. Why are African Americans leaving the South, according to Hughes’ poem “One-Way Ticket”? What is the experience of migration like as portrayed in the poem and the woodcut by Jacob Lawrence? How does Hughes portray conditions in Bronzeville in his two other poems? Consider Hughes’ use of the pronouns I and you. What is he trying to do by writing in the first-person voice or addressing the reader this directly? Now that you have completed your investigation, write an essay that includes your investigation summary, where you answer the questions of your mystery. Then conclude your essay by explaining whether you believe the Great Migration was a benefit or a hindrance for African-American migrants. We will review this format in class. Langston Hughes. From One-Way Ticket , 1949. The poet Langston Hughes is most often associated with the Harlem Renaissance. But Hughes spent time in Chicago as well and portrayed the lives of migrants to the city in this collection. Woodcuts by Jacob Lawrence illustrate Hughes’ book.